Native hard shell lobster are shipped to you overnight, along with everything you need for an amazing lobster boil, so you can sample the real Woodman’s experience in your corner of the country. 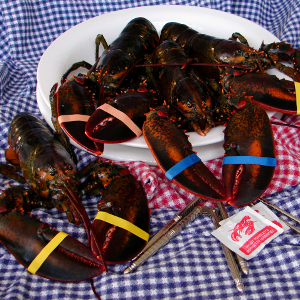 When you want to serve an authentic New England feast to a group, supermarket lobster just doesn’t cut it. You can buy lobsters online from Woodman’s of Essex, and get the taste of New England delivered right to your doorstep, all year long. Native hard shell lobster are shipped to you overnight, along with everything you need for an amazing lobster boil, so you can sample the real Woodman’s experience in your corner of the country. Why should we be your source for lobster delivery? We’re one of New England’s premiere seafood specialists, and we bring the flavor of New England to you and yours!